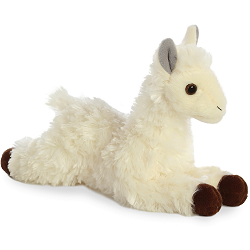 This adorable little Mini Flopsies plush llama has a huggable body of soft and "wooly" cream fur, gray inner ears, and brown hooves. 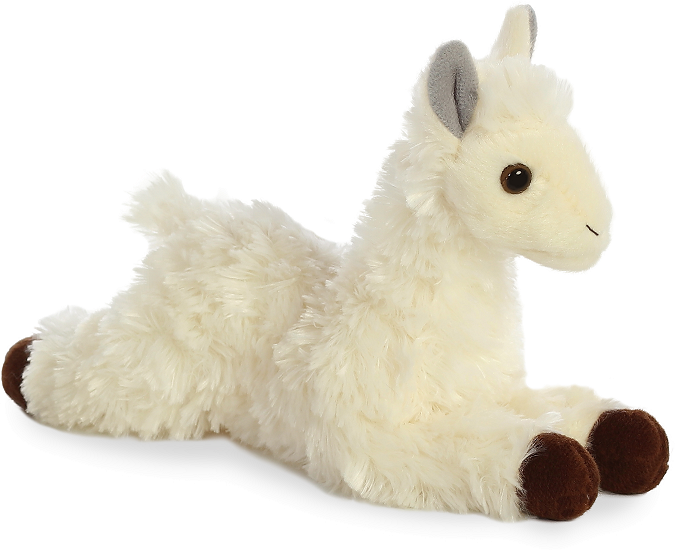 With warm brown eyes and fluffy tail, this Mini Flopsies llama stuffed animal is excited about joining you for hours of imaginative adventures. 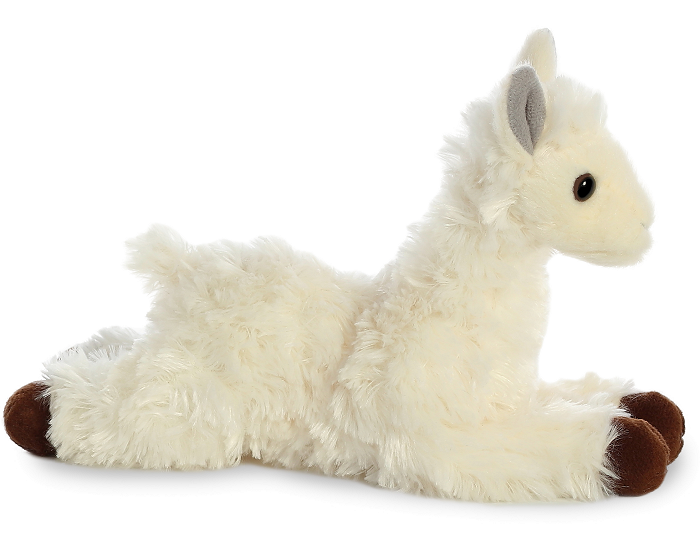 Fun Facts about Llamas: Llamas are intelligent and can learn simple tasks after a few repetitions. They can carry about 25-30% of their body weight for 5-8 miles. They are very social animals and live with other llamas as a herd. The wool produced by a llama is very soft and lanolin-free. They are extremely curious and most will approach people easily. They grow to about to be about 5.6-5.9 feet tall and can weigh between 290 and 440 pounds.